Christopher Nolan's Memento was a sleeper smash-hit in 2000: the smart indie used an ingenious backwards narrative structure and well-drawn but mysterious characters to draw us into the world of Leonard Shelby, the 'ten minute man' who suffers from anterograde amnesia, unable to make new memories. Now the film has been re-edited to run chronologically, and is available to watch online. Click below to see what an indie filmmaker can learn from the narrative structure of this indie classic! I think [Leonard's] doing this because he knows that he will forget he killed Jimmy G., and lose the satisfaction of the revenge, so he’s now deliberately setting up to “discover” later on that Gammell is John G. and have another revenge, so he can feel that satisfaction again. This all fits. The only thing I don’t understand is why he is setting up what appears to be his friend Gammell in this way. This feels like a mean, ruthless streak in Lenny. The only thing he wants out of life is the satisfaction of revenge, and he doesn’t care who he kills to get it. This is one of the most important points: what is slyly underplayed in the original is Leonard's agency in his own fate. This cut gives the film a whole new meaning, and, from a filmmaker's perspective, is very instructive in showing just how Nolan accomplished his sleight of hand. What do you think of this version? 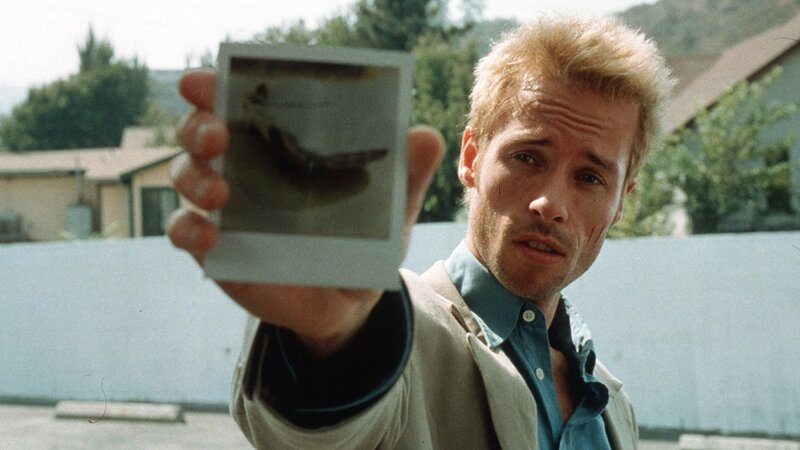 What lessons can an indie filmmaker or screenwriter learn from Memento, a film that relied on good old-fashioned narrative structure to construct a house of mirrors that more than a decade after its release is still confounding viewers? Why is there a spoiler for the usual suspects in the chronological cut of memento? I feel the same haven't watched it yet. If you -actually- watch The Usual Suspects you will know that this is NOT a spoiler. Yes IT IS a spoiler. If you -actually- watch The Usual Suspects with the idea you have to guess who Keyser Söze you are spoiled. You know that Keyser Söze is not what you think he is. That is the spoiler. You should delete your spoiler and delete my comment after. They are making a new version of Memento for the present day. he has an iphone instead of a Polaroid, nothing bad happens anymore. Watching it again like this is fantastic. I own the special edition dvd but have never gotten around to watching it. It's almost as good as the original but it's amazing how the change in editing can change everything from the way you see people to how it makes you feel. Thanks for this. I remember watching the chronological version of Memento on its DVD in 2002. I don't agree with the revenge interpretation. I always felt Leonard killed Teddy because these people were continually using him as a hitman. But he doesn't know he's being continually used as a hitman . . .
Actually, I agree with Jared Caldwell. Since Jimmy G. told Leonard there was money on the car, the first think I saw was a combination of seek of purpose with ending of being a tool in Teddy's hands. Well, Leonard saw the picture when he actually kills John G., so that was not even the second time he killed someone and Teddy was always involved cause he owns the picture. Than Leonard tooked the car making Teddy being always around trying to not loose control of the situation. At least that was my explanation for my sister when we went to the theaters. No, it's not at all getting the same revenge again. Leonard has just learned that Teddy has been lying to him and making him kill people repeatedly. Leonard can only kill if he think's he's killing the murderer of his wife; so he tricks himself into thinking Teddy is the killer in order to get revenge on Teddy for making him kill people who did not assault his wife. He is killing Teddy for both lying and killing (through the lie); for making Leonard a killer of innocents (at least innocent with respect to what happened to himself and his wife). Yeah... Unless the article has been changed from what it originally said or something, simply saying, "knowing who Keyser Söze was the whole time," is in no way a spoiler. That's... Kind of one of the central mysteries of the film; attempting to unravel just what happened and who the terrifying Keyser Söze is. My brother did the same years ago when the film came out. I watched the chronological-order cut of this film a few years ago on the Special Edition DVD. What I thought was most interesting from a storytelling perspective was the way that the film is robbed of nearly all suspense when watched this way. Even after you watch the theatrical movie a dozen times, the backwards storytelling forces you to do mental work each time you watch it. Especially if you're coming back to it after a few years, you may remember how most of the general pieces fit, but you're still struggling to remember which order all of the revelations will come. This is where all of the entertainment value comes from. I always forget a few fun details, like the way Leonard looks at his hand stinging in pain in one scene, and later realizes it's because he's just slapped the Carrie Anne-Moss character and doesn't remember it. But the forwards cut requires no such work from the viewer. All of the revelations -- about Leonard's motivations, about how all of the characters fit into the plot, about who Sammy Jenkis was -- are delivered up front, in explicit terms, in the first few minutes. Then it's just a well-shot, well-performed series of scenes that spell out exactly how Leonard comes to kill his latest John G., with absolutely no twists or deviations from the original plan. It's fascinating to see how a simple edit, one that just presents the events as they occur in order, can take a sophisticated psychological thriller and make it dull and obvious. i think you're better off rewatching it as it plays. you'll get to the same conclusions but also ever more get to see the brilliant simplicity of solving the problem of how to convey leonards plight through reverse editing and an opening shot that serves as legend to mapping it out. Also: Any movie that can be "spoiled" by uttering a few words is not a very good movie. I'm looking at you, Dead Bruce Willis.